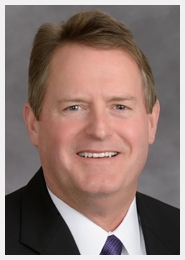 Bruce Kerr joined the Blount Partnership as the Director of Accounting and Human Resources on April 22, 2013. Kerr, a certified public accountant, comes to the Partnership with more than 30 years of successful leadership in finance and human resource management. His role with the Partnership is to coordinate operating budgets for the Chamber, Economic Development Board, Smoky Mountain Tourism Development Authority and Chamber Foundation, in addition to handling all human resource activities. Kerr spent the last 16 years with the Heckethorn Manufacturing Company in Dyersburg, Tenn., serving as the chief financial officer for the past eight years. Prior to that he was vice president of finance and controller for the organization. With Heckethorn, Kerr was responsible for all financial and human resource functions as well as having extensive involvement in merger and acquisition activities. Kerr spent the first 15 years of his professional career as a plant accountant and accounting manager for Dyersburg Fabrics, Inc.
A 1980 graduate of the University of Tennessee, Kerr attended UT-Martin’s MBA program from 1981-82 before completing the CPA exam in 1983. He is an active member of the Tennessee Society of CPAs and the Society for Human Resource Management. Kerr, who served as a president for the Dyersburg (Tenn.) Rotary, owns his pilot’s license and is a member of the Rotary Club of Maryville-Alcoa.